Carpenters Bees can destroy wood in a matter of days if not hours. You should always get rid of Carpenters Bees as soon as they appear. They chew tunnels through wood to build themselves a nice, cozy home... at your expense. 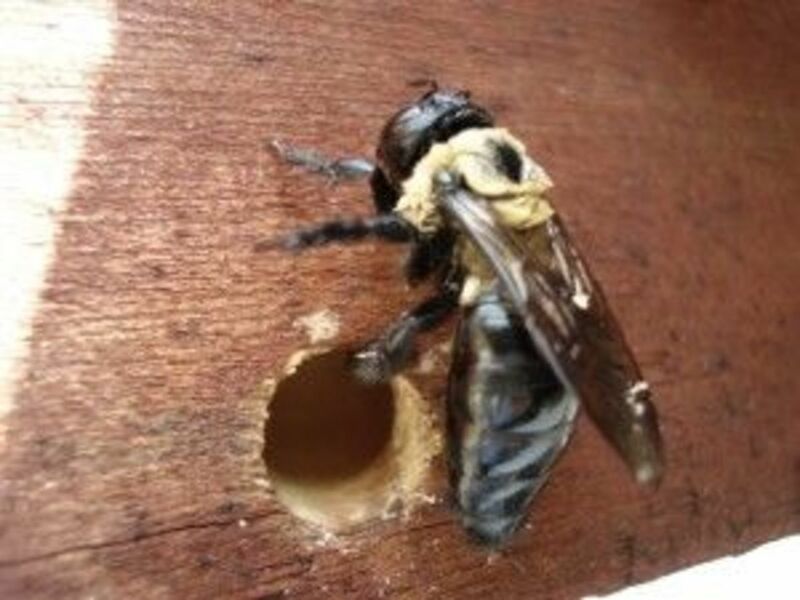 Carpenter Bees will continue to bore through what ever piece of wood they have created their nest in until hey are destroyed or extracted by an exterminator. Carpenter Bees can be nasty little creatures causing serious damage to wooden objects, frames, and building exteriors. Carpenter bees chew tunnels through wood to build nests and to lay their eggs. They chew their way through soft wood and create tunnels with numerous chambers. Female carpenter bees create larger tunnels to create a cozy home for them and their young. Females prefer to build their nest in wood that receives direct sunlight while males will have no preference. 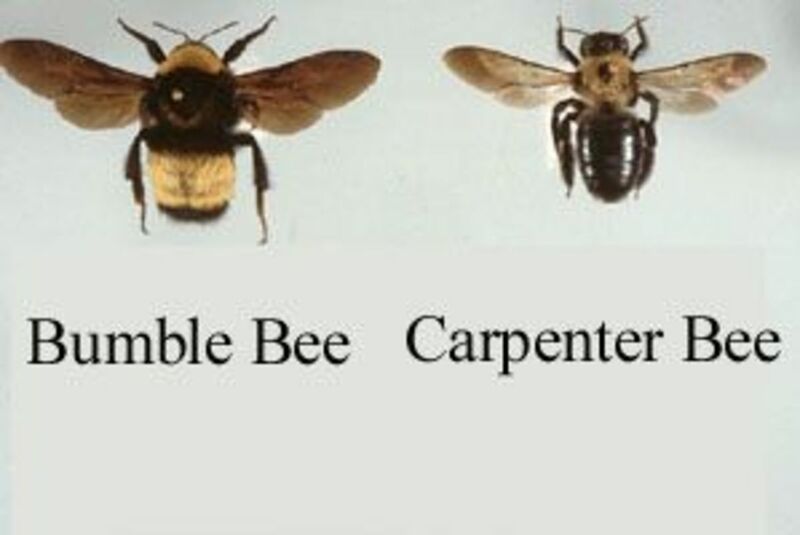 It is best to prevent Carpenter bees before they appear. This isn't an easy task but there are a few simple things you can do ahead of time to prevent a huge infestation. ~Insure that all exposed wood is painted or sealed. ~Seal small wood holes and cracks in wood. 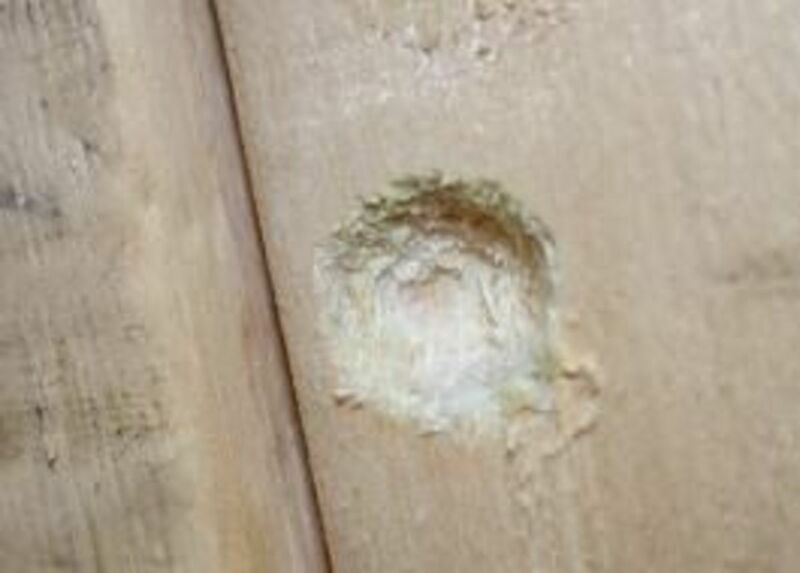 These types of holes can create the perfect habitat for Carpenter bees. ~Use Carpenter bee traps to diminish the current population of Carpenter bees and to catch any newcomers. Here are a few products online to help you get rid of Carpenter Bees. Once you realize you have Carpenter bees it is important to take action in removing them quickly to prevent a large infestation and serious damage. First, start the process by removing the Carpenter bee nest. The easiest way to remove them is to use a vacuum with a narrow ended attachment and cover the hole and vacuum the bees out. This helps to prevent being stung and to maximize the chances of a vacant nest when you fill it in. 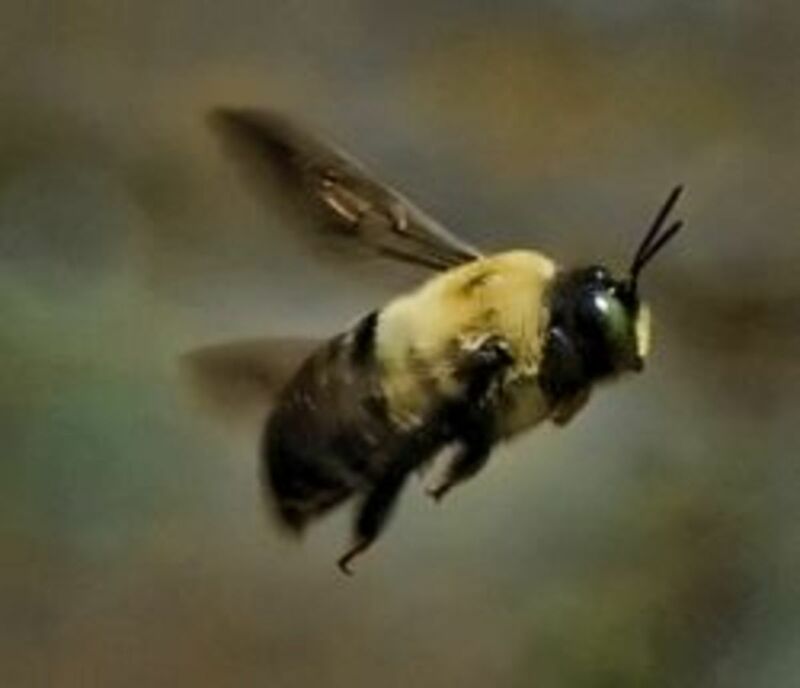 If you are not sure that all the carpenter bees have been removed you can either vacuum it again or follow up with an insecticide to insure any remaining bees will be ramified. Once the carpenter bees have been removed you can then seal the hole to prevent other bees from claiming the nest as their new home. If you choose not to remove Carpenter bees by hand you have another option, insecticides. You can find several different types of insecticide sprays at your local department store, garden center and hardware stores. Some are sprays that work immediately and prevent further infestations, other just ramify the current population in a nest. 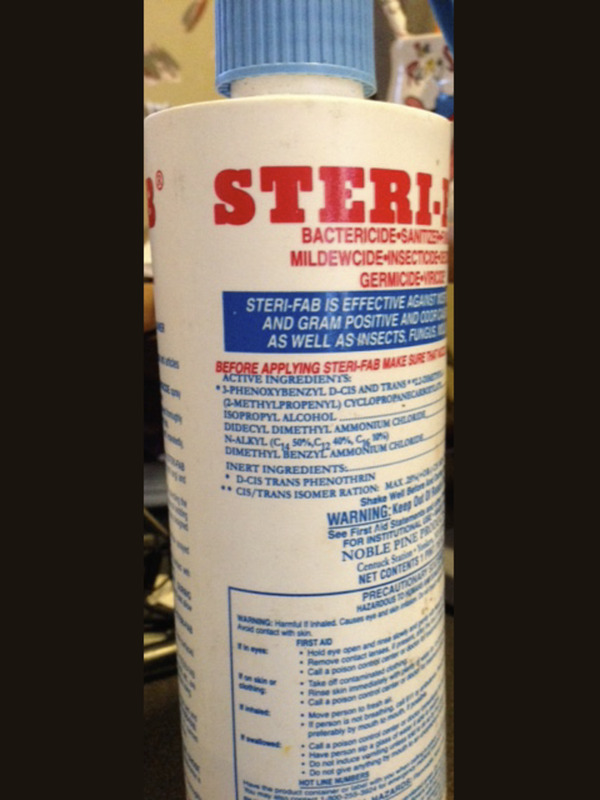 Read the label to find out what type of insecticide you are purchasing and whether or not it will prevent future Carpenter bee infestations. Once you have purchased the insecticide spray you choose to use, follow the instructions according to the label. Each one should have a time frame in which it will take to kill the Carpenter bees and how long before the area is safe for your to enter again. Once the area is safe for you to enter again you will need to fill in the holes created by the nest to prevent other Carpenter bees and insects from regaining ownership of the nest. If you prefer not to handle the task of getting rid of Carpenter bees yourself there is good news. You can hire someone to handle it for you. Contact your local exterminator to get the job done. They will have commercial grade insecticides and usually satisfaction guarantee for their work leaving you with assurance that they will get the job done. They will not only spray the nest but usually the whole yard and inclusive structures. Once you have eliminated the Carpenter bees you should always feel in the holes they created. By filling in the holes you prevent other insects from making a new home in the previous nest. You also prevent further damage from rot and moisture. Seal the hole using a wood putty, wood caulk or create your own putty using a mixture of wood dust and wood glue. Feel the hole as deeply as possible and to the very outer end of the hole. Using a putty knife or similar tool, smooth the putty flush with the exterior board to insure the hole is properly sealed and still tidy looking. Did You Find How to Get Rid of Carpenter Bees Helpful? Yes, I will be trying some of these ideas! Visit Carpenter Bee Traps for a list of Carpenter bee traps available online. Have you had a problem with Carpenter Bees in the past? What did you use? Have your ever used Carpenter Bee Boxes? Share your thoughts and ideas for others to see! You are inspiring me! I have been manikg these blocks too, sort of here and there when I have a moment between other things. I think I have about 30 or so. I can't wait to see how your quilt turns out ( and it still makes me smile that you have at least one of my blocks for your quilt from the first round of swaps). @anonymous: So we should just let them bore and drill the heck out of the deck? Then when they destroy it to the point it is structurally unsound it will collapse. But I'll sleep soundly in my hospital bed knowing the flowers were pollinated in the process. IDIOT! I have found the great tool to get/kill wood bees. I purchase a fishing net with small screens..as they fly by, I trap them in the net then step on them...in one weeks time I have killed over 67 ( and counting) .... the net cost me $14.00 at your sporting goods store...remember these guys are very dumb...and to all you wood boring bee lovers, they are not good for the garden..they steal the nector and don't provide any benefit to the other plants. Aww, those cute little carpenters! This is a really good read for me, it was very informative and helped me very much. Thanks! I still like shooting a stream of that wasp spray in the hole and killing them like that. Plus it seems to have a residual effect and keeps others bees away from that hole. @anonymous: I'm not implying to kill them for no reason. They were eating away my greenhouse. Yes, they pollinate plants, so do thousands of other insects. 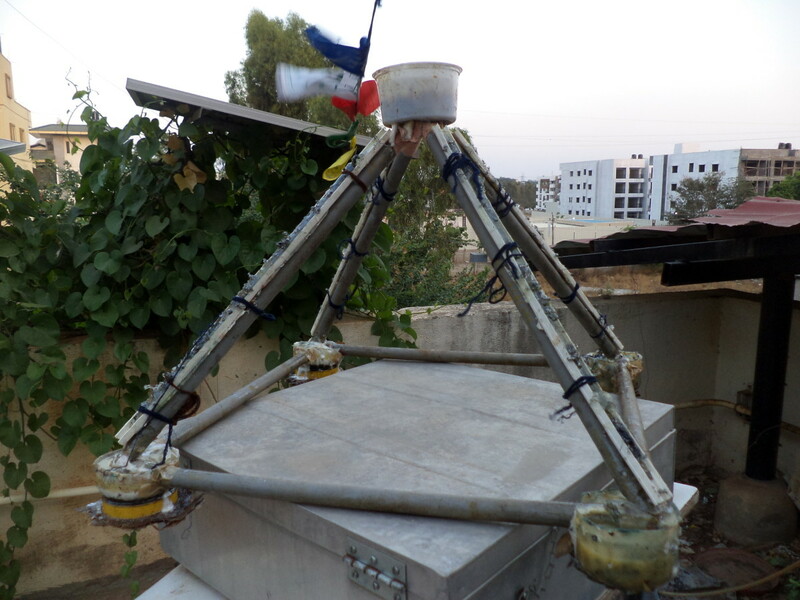 However, when they are causing thousands of dollars worth of damage to your home or buildings- it would only make sense to rectify the situation. It's no different than exterminating others pests or animals that are reaking havoc on your property. @DivaChick LM: Glad I could help! We had carpenter bees boring holes on the underneath side of the bottom rail of our front porch railing - only about 2 inches of space between the porch floor and the bottom of the rail, so it was difficult to fill in holes, spray insecticide, etc. into the holes. So we purchased aluminum siding pieces that were the same width as the railing and screwed it to the underside so that the bare wood and holes were covered. haven't seen any carpenter bees since and that was about 5 years ago. I have carpenter bees and found that they are making tunnels next to my plants for the winter. Do you know how I can get rid of them in the ground? There is about 10 different holes. Thank you so much for the lens! Not sure if the bees I saw out front were bumble bees or carpenter bees, but will definitely have a way to check thanks to your comparison. Great job! Never had a problem with carpenter bees. However, if I should run into some I will now know what to do. Thanks for a great lens with some information that can actually come in handy. You can also stuff the holes with plain steel wool. A riveting lens on this subject. Does the wood become sticky from the honey they leave behind? Good lens. I really don't know if I could tell the difference between carpenter bees and other bees, I usually don't get real close to bees. I have an arrangement with Terminex I think I am going to keep. I don't think I've ever seen these little critters. We have a lot of bees in the garden but they are most welcome there, of course. I'll be watching for this bee now. So far I haven't noticed any damage done. Well done! Angel blessed. I have never had carpenter bees, but fought a nice carpenter ant infestation about a decade ago. It wasn't fun. Thanks for the great lens! Tennis rackets. My son saw them flying around last night and used them for practice. WD40 the can with the straw works awesome, kills the bees almost immediately, then just fill in the hole with caulk ect. Unfortunately only works at night when the bees are in the hole. Great advice on a real problem! Thanks! I had a lot of them when I still lived in Turkey, you could hear them munch. A great informational piece, just one question, how are you going to remove the bees from your hoover without getting stung? Many hoovers do not have bags but just a cylinder or capsule that gets emptied. Or will they die once they have been hoovered up?